Although Acquire renders the videos using the world’s most popular, licensed, official Codecs, all video playback is subject to a number of factors. Predominantly, the specification of the hardware you are using to playback, the drivers for the hardware used, and the way the video files themselves have been encoded. A video file is effectively a container with some data which includes the video stream and audio stream, which Acquire then pre-loads and plays back as it continues to load from the hard disk. These containers are customised for each supplier and describe how the video and audio are mixed together, and for each supplier of Codec can usually be identified by the file extension. For example a .DivX would typically contain a DivX www.divx.com stream of data which Acquire would use the official DivX Codecs to playback. However, the actual data stream can be in a different format than the one the file extension shows. For example the most recent DivX Player program downloaded from their website ALSO includes Codecs for playback of other media file formats (such as H.264). Also, the video Codecs used to encode the data stream have many configurable options which let you adjust the quality, compression and interleave (how the audio and video data is sandwiched together), and it is entirely possible to encode a video which is impossible for your hardware to playback (typically because the sound encoding used is incompatible, the DataStream is outside the standard settings, or more typically the data rate required to playback the video at the chosen quality, compression and interleave is too high). Once Acquire starts to play the video by decoding it using one of the Codecs, the resultant video and audio are sent to the operating system (Windows) to playback on the hardware using the installed drivers. Quite often for speed, the CODEC sends the video directly to the video hardware (this is called Direct Memory Access or DMA) and to do this, Windows uses something called Hardware Overlay so that the graphics hardware knows where to show the video. For this to work successfully, the video drivers need to know how to render (draw) the images the CODEC is sending to it, and sometimes a combination of the way the video is encoded, together with a version of hardware drivers means that the video either doesn't playback at all, or shows a black screen/corrupt images, or even sends back an error to Acquire. 1) All Codecs are designed to trade-off between the quality and amount of change happening onscreen at any time vs. the data rate. 2) Using videos as they are supplied to you may not be the most efficient use of your players or transfer bandwidth. It is often much better to re-encode (transcode) the videos to a format which is smaller and more efficient. 3) Newer video Codecs (e.g. MPEG4 related ones) are typically more efficient than older formats, meaning smaller video files, lower bit-rates, and higher quality images. 4) You can never make the quality of your video better than the original source material (i.e. don’t choose high settings or larger resolutions when encoding if the source material is only a low bit-rate or low resolution). 5) Often some codecs provide a multiple pass option, this allows the CODEC to watch the video the first time it runs through it, looking for areas where it needs to adjust the settings (e.g. fast motion, high contrast or lots of fast changes to the screen). Then on the second pass, it will make a much more efficient and better quality video. 6) The resolution of the video is typically how sharp the picture will look, as well as the aspect ratio. Most video CODECs will only playback correctly if a specific resolution is used to encode the video. There is normally no need to encode the video for the PCs screen resolution you will be using, as Acquire and the CODEC will automatically rescale the video at playback (although on slower processor PCs you may wish to do this to reduce the CPU overhead). Take a number of typical videos you will be using for your Digital Signage. Use a mixture of different videos – some with high contrast, some with bright colours, some with fast motion and lots of changes on screen, and also the opposite of these too. Using a video editing package*, select a small section of these videos (10-20 seconds of each video should be enough) and encode them using your chosen Encoding CODEC with high settings. Note that some Codecs allow you to choose a maximum bit-rate and this should never be higher than the speed your hard drive in your PC can load data (its sustained data rate), and if you are likely to be playing back more than one video at a time, this should be substantially lower. Watch the resultant videos (use them as a benchmark). Now, re-encode the source videos again, but with lower settings (typically reduce the bandwidth to begin with before adjusting other settings unless you know what you are doing). Keep watching the resultant videos, reducing the quality and re-encoding using the new settings until you notice a quality drop which is not acceptable. Now you know the point at which those types of video are too low quality, take a note of the settings you used just prior to the latest encoding process and use them for all videos of that type. 1) The drivers used on the computer are not compatible and need upgrading. Check on the PC manufacturer’s website to download alternative drivers for the hardware (usually newer but sometimes older ones work better). 2) Check that the video is not corrupted and can be played back using Windows Media Player on the player PC (do not use your own PC as this may not be the same file or settings). Note that if the video does play back in Windows Media Player, this is not a guarantee that it is compatible with the settings Acquire uses to playback (as Acquire uses different methods to allow for multiple things to be onscreen at the same time). 3) The combination of video CODEC, drivers and video playback method are incompatible. Try changing the Video Rendering settings in Acquire Player. Access the Engineers Settings screen by pressing ESC, choose Acquire Settings, and choose a different Video playback mode. 4) If the above still fail, you may need to re-encode the video in a different video format. Transcode (re-encode) the video using a video editing tool*. 5) If you are using a CODEC not supplied with Acquire, you may need to install that CODEC onto the player units. 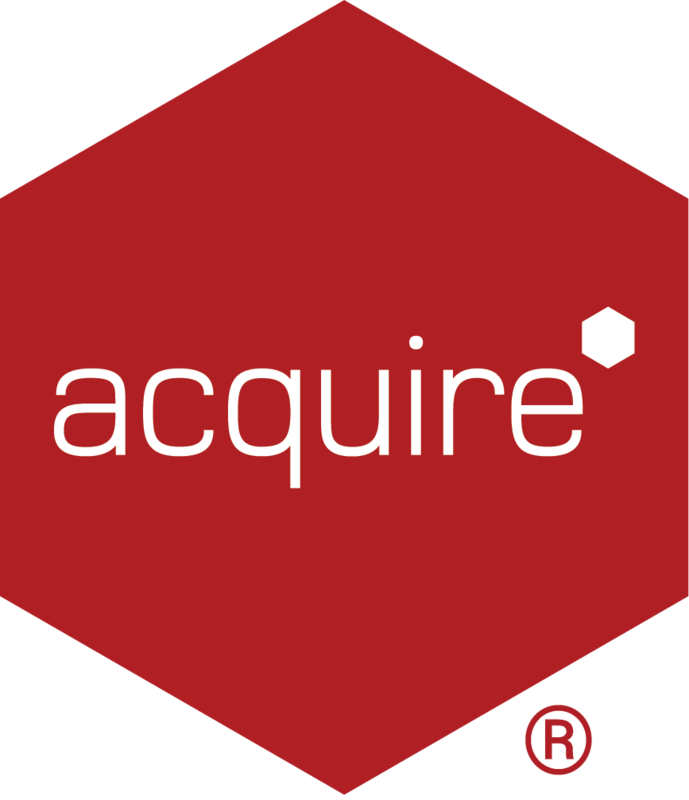 Note that Acquire includes a number of high quality, officially licensed Codecs which we will support as part of the Acquire package. If you choose to install other CODEC packs, Acquire will use any ‘Direct Show’ compatible Codecs and will automatically try and find the best matching CODEC (however it will be hard to trace which CODECs are then actually being used and we are therefore unable to support you with playback problems).